An unique and gorgeously cut vase by the Belgium glass firm of Val St. Lambert. 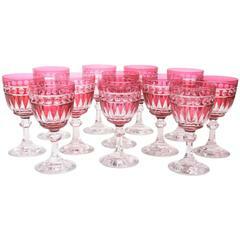 A wonderful Art Deco design featuring elongated panels alternating with diamond shapes. 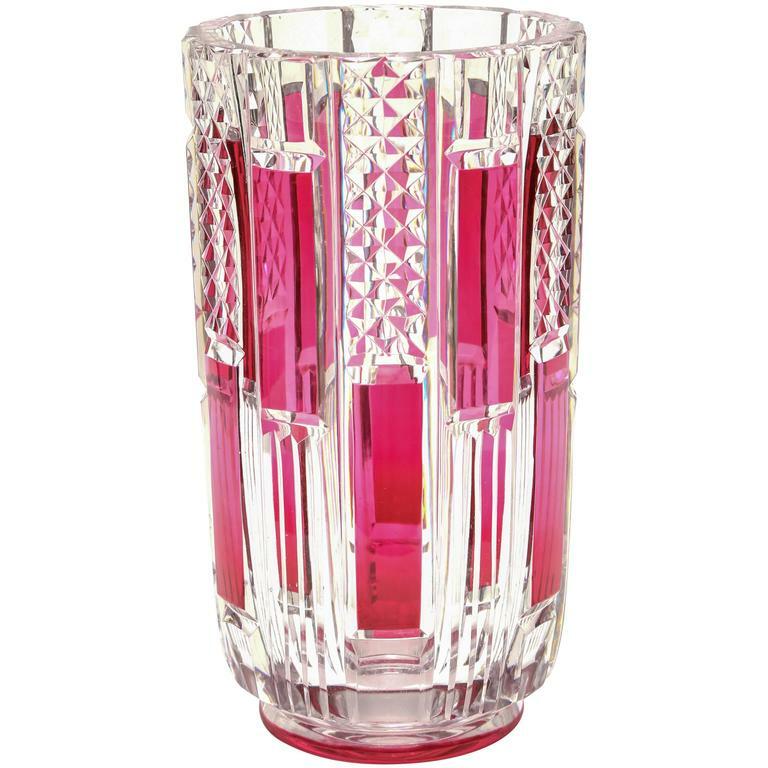 Crisp clear blown glass overlaid with rich ruby, the piece comes alive with the masterful cutting. Please note that this exhibition quality piece is heavy and we will handle with white glove for you. Diameter top: 8.5 cm. 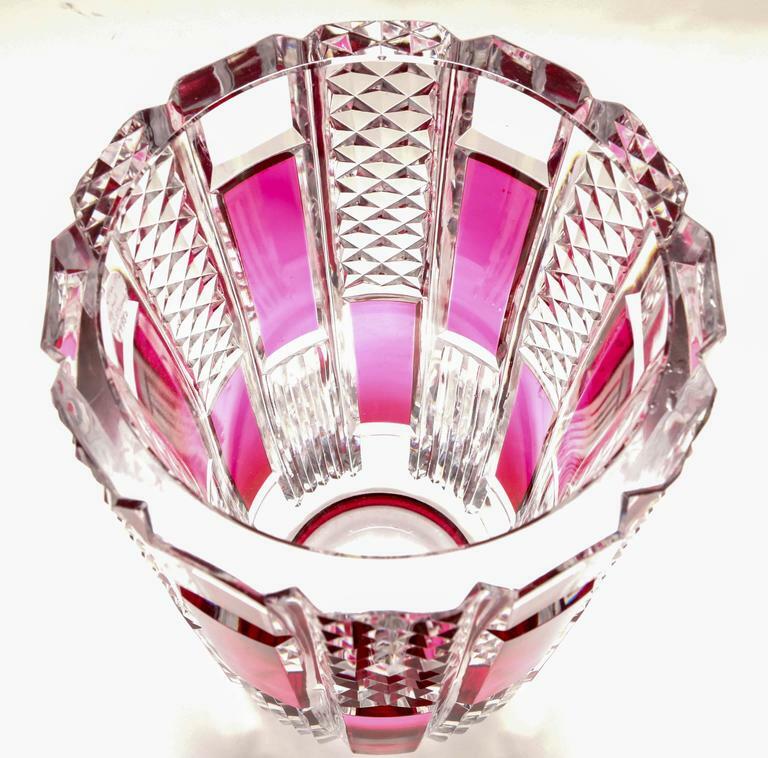 Diameter base: 11 cm. Height: 15 cm. 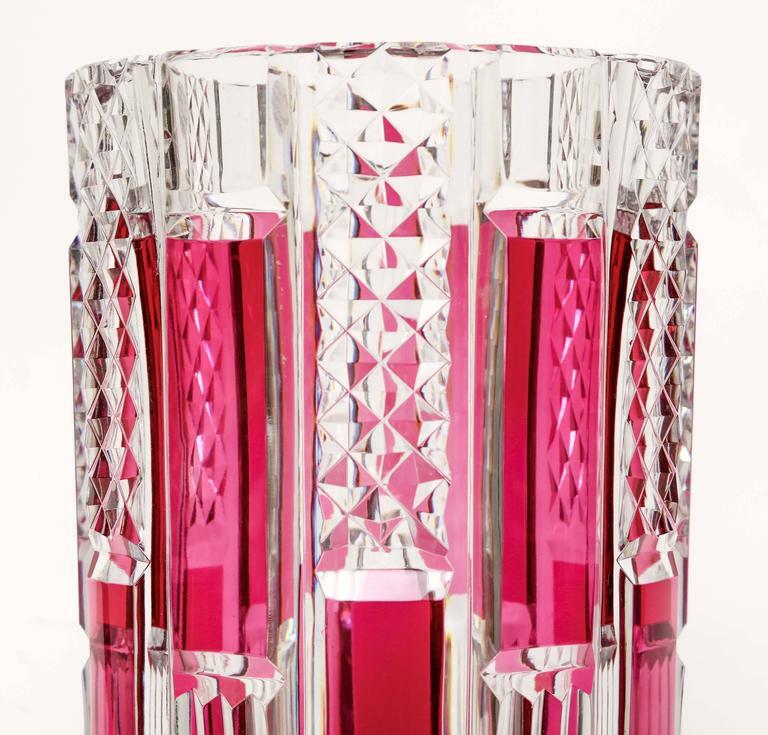 Art Deco Val Saint Lambert "Arcadie" Topaze crystal vase. 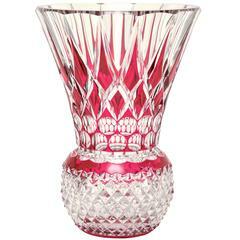 Cone-shaped cut to clear purple art glass vase attributed to Val Saint Lambert of Belgium, circa 1930s. 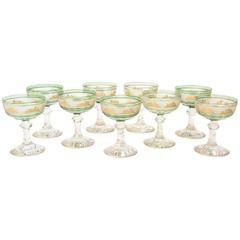 Excellent vintage condition with minor scattered surface wear. No flaws found. 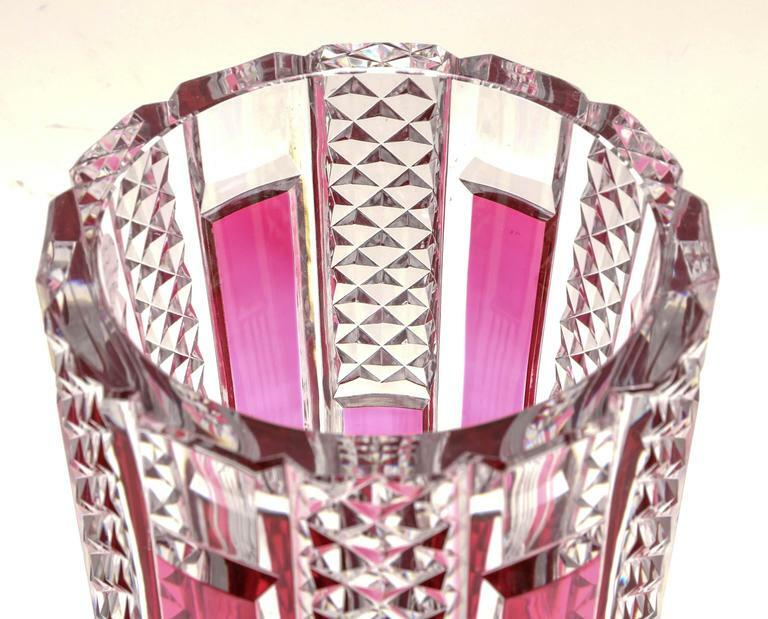 Art Deco Val Saint Lambert vase by Joseph Simon. Measures: Diameter top: 11 cm. Diameter base: 8.5 cm. Height: 22 cm. 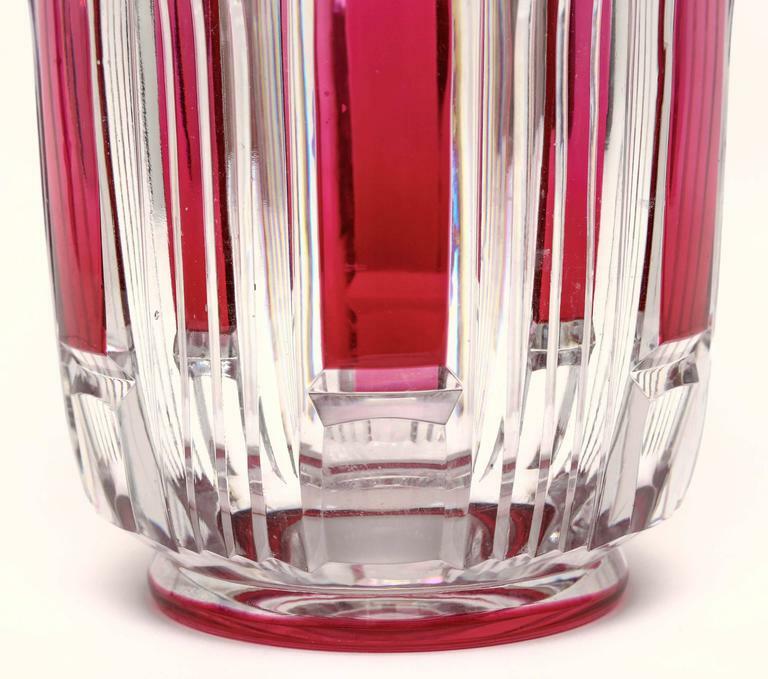 Art Deco slender vase in thick glass with flashed cherry color. Circular seal of Val Saint Lambert.